There is still considerable debate over the war that raged in the Middle East for six days beginning on June 5, 1967. The Six Day War began when Israel attacked Egyptian forces on the Sinai Peninsula and Gaza Strip along Israel’s southern border. After Syria and Jordan invaded Israel from the north, counterattacking Israeli troops occupied the West Bank and the Golan Heights. The war ended in a decisive Israeli victory on June 10, 1967, with Israel occupying former Syrian, Jordanian and Egyptian territory. The facts are beyond dispute. But the popular interpretation of underlying causes and circumstances … is often wrong. The conventional wisdom is that the crisis that culminated in the Six Day War began with a major clash on the armistice line between Israel and Syria on April 7, 1967, in the course of which Israeli interceptors shot down seven Arab MiGs in 30 seconds. According to the Israelis, the April 1967 air battle followed a long series of Syrian provocations. But years later, Moshe Dayan — the Israeli defense minister at the time — explained that at least 80 percent of the clashes between Israel and Syria in the 1960s were actually provoked by Israel, bowing to pressure from settlers hoping to occupy the Golan. More recently, Israeli scholars have revealed the extent of Israeli preparations for war, making it clear that what were ostensibly Israeli reactions to Syrian attacks were, in fact, pre-planned operations. Some scholars and journalists argue the Six Day War was the result of a Soviet-led conspiracy bent on either destroying Israel or, at least, increasing Arab states’ dependence on Moscow. This is also untrue. A once-secret report by the then-secretary of the Soviet Communist Party, Leonid Brezhnev, clearly indicates that Moscow had no intention of inciting an armed conflict. Indeed, in June 1967 the Soviet Union hoped to avoid war, but found it couldn’t control its Arab allies. The Brezhnev report confirms that there was no Soviet conspiracy to destroy Israel. On the contrary, the USSR suspected that Israel was planning an attack on Syria. Determined to rescue the government in Damascus, the Soviets fed Egypt a lie — that Israeli forces were mobilizing along the armistice line with Syria. The Soviet Union hoped to manipulate Egyptian president Gamal Abdel Nasser into assisting Syria by concentrating Egypt’s forces on its own ceasefire line with Israel. Moscow knew that on previous occasions, Egyptian mobilizations had succeeded in reducing tensions between Israel and Syria. The same document reveals that Moscow underestimated Israel’s military strength and believed the Jewish state couldn’t win a war on two fronts. That was why Moscow consented to the ejection of United Nations peacekeeping forces from the Sinai in May 1967. However, from that point onward Soviet leadership lost control of the crisis. The Soviets were taken aback by Nasser’s blockade of the Gulf of Aqaba without having first consulted them, and then by Israel launching a swift attack that resulted in victory six days later. Even then, Moscow wasn’t inclined to take military action against Israel. It was only when the occupation of Damascus by the Israeli Defense Forces seemed imminent that the Kremlin sharply increased pressure on Israel and even resorted to military threats. These threats in turn forced U.S. president Lyndon Johnson to intervene and persuade the Israeli government to end the fighting. Contrary to some reports, no Soviet MiG-25s Foxbats overflew the Israeli nuclear complex at Dimona in May and early June 1967. Yes, the overflights occurred — but they were flown by Egyptian pilots and produced exactly zero intelligence about Israeli military capabilities and intentions. In every single account of the June 1967 war published in the West — and especially in the USA — the Israeli attack is described as “pre-emptive.” Implicit in that description is the notion that Israel was under imminent threat of attack not only from Egypt, but also from combined Iraqi, Jordanian and Syrian forces. The major Egyptian plan for a war with Israel, as of May and June 1967 — the plan bore the code name “El Qahir” — was purely defensive in nature. 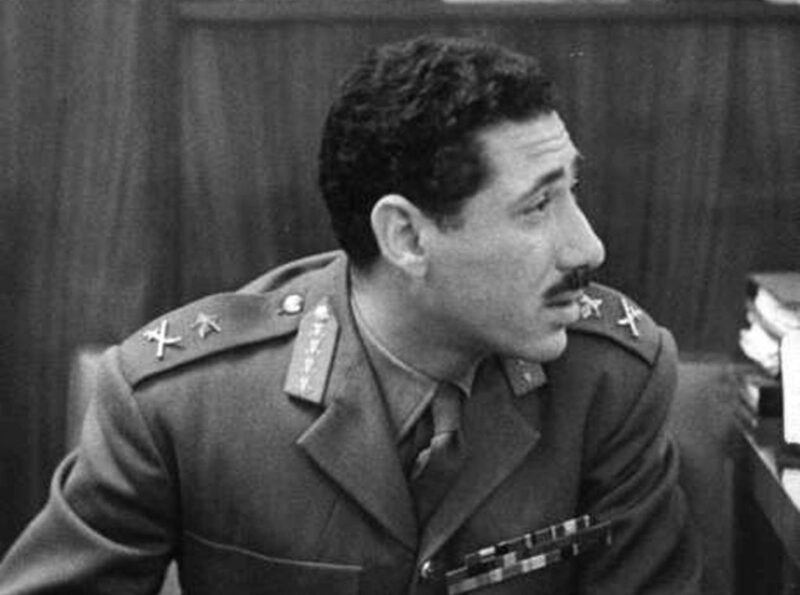 In any event, Egyptian minister of defense Field Marshal Abd El Hakim Amer negated that plan when he ordered his forces to redeploy in late May and early June 1967, throwing the entire Egyptian military into chaos. On June 5, 1967, the Egyptian army was arranged in a thin screen along the full length of the armistice line with Israel — positions it couldn’t even properly defend. Similarly, the Egyptian air force had withdrawn nearly all of its aircraft from air bases on the Sinai to those between the Suez Canal and Cairo. No matter how much Arabs wanted to destroy Israel, even their top commander had no clue how to do it. Israel never faced a serious threat of destruction. And the Israeli “pre-emptive” strike that sparked the Six Day War … wasn’t pre-emptive at all.